The Supreme Court bench of Chief Justice Dipak Misra, Justice D. Y. Chandrachud and Justice A. M. Khanwilkar on Friday adjourned the hearing in two writ petitions seeking the expeditious appointment of judges to the Calcutta High Court to the first week of July. 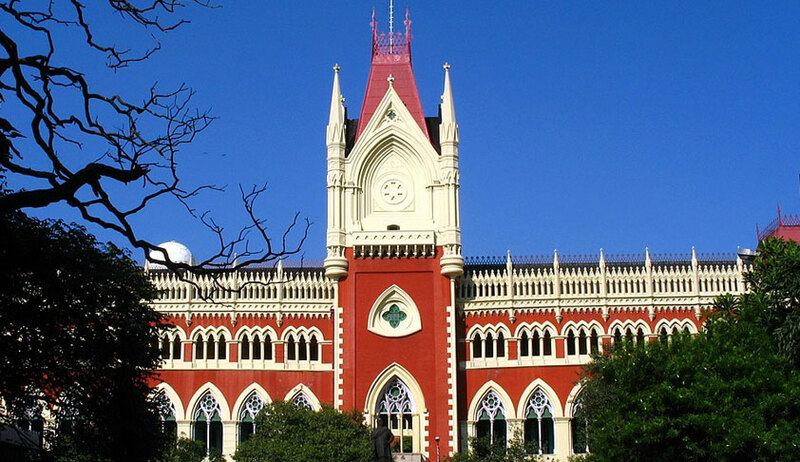 One of the petitions, on behalf of the Youth Bar Association of India, prays for the writ in the nature of mandamus to the Centre, Supreme Court and High Court collegia to immediately appoint judges as per sanctioned strength in Calcutta High Court and all other High Courts functioning in the country “in the interest of justice”. It has also been sought that appropriate orders or directions may be issued to the High Court Bar Association and other bodies to cease the strike by the advocates immediately called on account their consequent sufferings. Refusing to entertain the claims of urgency advanced by the counsel for the petitioners, the Chief Justice directed the matters to be listed in July. The said petition avers that As per the data published by the Union Ministry of Law and Justice on February 01, 2018 the High Court at Calcutta has nearly 54% vacancy which has changed for the worse after the retirement of three High Court Judges viz., Justice Mir Dara Sheko, Justice Siddhartha Chattopadhyay and Justice Debi Prosad Dey, and three more judges including Acting Chief Justice Jyotirmay Bhattacharya are set to retire between September and December. Thereafter, the vacancies will stand at 61%. It has also been mentioned that two judges are always deputed to circuit bench at Port Blair. It has been contended that while filling up the vacancies in the Council of the States and the House of the People a statutory time limit has been prescribed under Section-151A of THE REPRESENTATION OF THE PEOPLE ACT, 1951 as well as under ARTICLE 62(1) AND (2) OF THE CONSTITUTION OF INDIA, which deal with the specific time for the appointment to be effected in case of the President of India and that is being strictly observed, while in the appointments of judges, despite having prior information regarding the retirements, no effective steps are taken to fill up vacancies. Further, reliance has been placed on Supreme Court Advocates-On-Record Association vs. Union of India (1993) 4 SCC 441 in so far as it is stated therein that “initiation of the proposal for appointment in the case of the Supreme Court must be by the Chief Justice Of India and in the case of High Court by the Chief Justice of that High Court.....”. Accordingly, it has been averred that a duty is cast upon the Chief Justice of the concerned High Courts to fill up the vacancies but despite of huge number of vacancies, the High Court is not proposing enough names to fill up the vacancies. Also, it is contended that primacy is to be accorded to Chief Justice of India’s views amongst the consultees mentioned in Articles 124(2), 217(1) and (c) in the sense that the opinion of the Chief Justice of India would be binding on the President, i.e., the executive. Therefore, the government cannot sit idle over the recommended names.